Last night, my partner and I went to a friend's home for low-stakes poker. 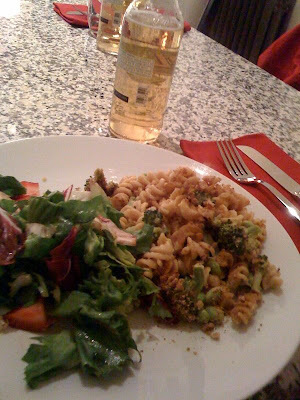 The host, who is a vegan, made a really delicious mac & cheese dinner, the recipe for which came from VeganYumYum. 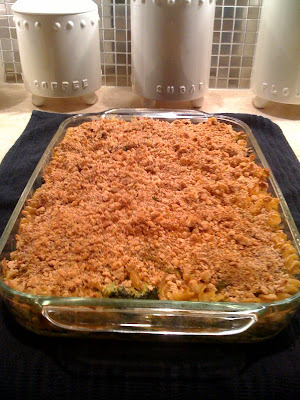 I believe the only change he made to the recipe was to add defrosted edamame (soy beans) before baking in the oven. VeganYumYum is a fun blog, and the photos on that site are quite stunning. And speaking of photos, I apologize for the qualiity of the images above. I took them with my iphone.